There’s nothing quite like sitting with your friends or family in front of a warm fire. 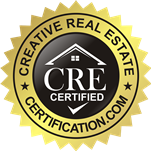 In fact, renters have been known to choose one home over the other, even if it was more expensive, if the home had a fireplace. Many people enjoy warming up by the fire and talking, or watching a great movie. Almost all new house plans have at least one fireplace incorporated into their design to accommodate homeowners desire for them. You’ll definitely find them in the living room in most new constructions, but other locations that they are known to be installed are in the dining room, open kitchens, master bedrooms, and even outdoors. They have an uncanny ability to make a room look more beautiful than it is as well. This is why it is so important to have the right fireplace design for your home. Choosing the wrong one can backfire, and deter someone away from your house. Simply having one isn’t quite enough. Fireplace design ideas are unlimited, so no matter what your style is, you’ll be able to find a fireplace that you like. Below are a couple of things that you should keep in mind when you are shopping. 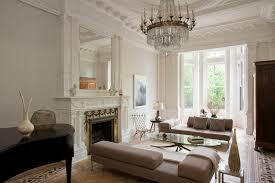 You must decide based on, of course, the functionality of the fireplace, but also the overall aesthetics of the room. What type of fireplace is best for you? Well, will the fireplace be the primary heat source, or will it be mostly for decorative purposes? Do you want to be able to maintain it easily, or do you not mind spending more time on maintenance to have a specific type of fireplace? What kind of fuel do you like? Or, do you want to mess with fuel at all? These are the questions that will help you decide whether an electric, wood burning, or gas fireplace is best for you. 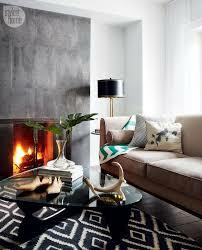 Gas fireplaces have become very popular, because they are less expensive to build than wood burning fireplaces are. One of the reasons for this is that it costs a lot of money to build a chimney. Pre-made metal fireplace units have become very, very popular. Another reason gas fireplaces are so popular is that they provide radiant heat and a beautiful, blazing flame, but without the inconvenience of wood. There is wide variety of sizes and aesthetic choices in gas fireplaces and considerably more leeway in terms of venting (inserts, direct-vent and vent-free models) than that offered by wood-burning fireplaces. You’ll want to choose a gas fireplace with the highest efficiency rating. Electric fireplaces usually come out of the box, so you do not need to choose construction materials or dimensions because the fireplace will come already constructed. They are typically on the smaller side, making them an excellent choice for smaller rooms. If you are planning to have a wood-burning fireplace then construction materials are very important. Brick fireplace designs are probably the most common choice, because brick does not show smoke stains, which are typically quite an eyesore. Another common material for fireplace design is stone. 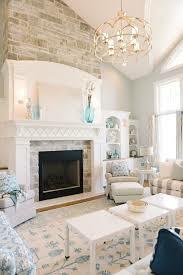 There are many varieties of stone fireplace such as limestone, marble, slate or ceramic tile. Because of cost, most homeowners are using stone veneer. Avoid light colors if you plan on using your fireplace often. If you’ve already decided on a theme for your room, look for a fireplace with complimentary accents like stone, brick, tile and woodworking. If you choose a mantle, it’s a great way to match it to your room’s style and decor. 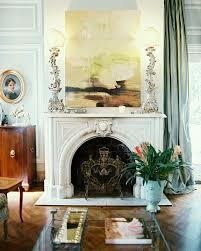 Accent the mantle with decorative touches like mirrors, statues, flowers or artwork to complement your theme. Fireplaces are a sore-subject for me, personally. I’ve never had an electric fireplace, but I have had a wood-burning one, and a gas one. First, let me say that there’s nothing more fun than having a real-blazing, wood-burning fire in the middle of winter. On the other hand, it is extremely obnoxious to keep the fire going. Gas stoves are much more convenient, and depending on the set you buy, the wood can actually look extremely real. The only nuisance I’ve encountered is that sometimes, the pilot goes out (if you click the buttons wrong) and it can be VERY annoying to get it back on by yourself.